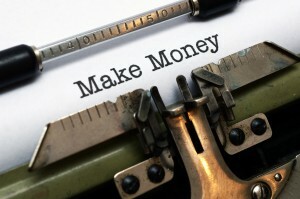 It's never been easier to make money as a writer, but you have to take the right approach. Every job on the planet has elements that are boring or unenjoyable, and writing is no different. A refusal to face this is perhaps the biggest barrier to earning good money as a writer. If you want to write for a living, you have to do whatever it takes to pay the bills with your words, and that means taking on projects you don't necessarily love to balance those you do. You need not compromise your morals, but don't confuse moral high ground with plain old stubbornness. When I chose to leave my professorship to pursue my own writing and publishing business, I knew I had to do more than pound away at a novel. I had to sell things on a regular basis. I've sold poems and sayings to greeting card companies and papers to essay mills. I've ghostwritten stories, sold tons of short fiction and articles to magazines, and I've been paid for sales and Web copy. I even wrote 100 fortunes for a local Chinese food restaurant. I didn't enjoy all of those jobs, but they all meant I was being paid to write, and that was my goal. One other thing: I think it's much harder to earn good money writing fiction than it is writing nonfiction. Which isn't to say you can't earn a living as a fiction writer, you just have to be a very prolific writer and be more willing to sell your work in new ways. Making money as a writer also means being flexible when it comes to what you sell where. 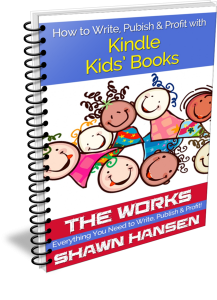 Yes, it's easy to publish to the Kindle platform. Yes, there are tons of people shopping for books there. But it's not the only game in town, and it's not even the best game in town for most writers. Did you know if you publish to iBooks, you get 70% of every sale regardless of the book's price? If you are going to make use of the big eBook distribution platforms, don't you owe it to yourself to try to earn as much per sale as you can? If you write fiction, my suggestion is you check out https://Duotrope.com before you set your sights on eBook publishing. If you sell a short story to one of the many markets there, you could be looking at an instant payoff of $50-$250 without having to do any fancy formatting, adding a cover, or marketing. You could be looking at an even greater payday with novellas and novels. 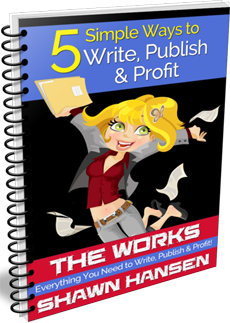 What's the harm in trying that before you decide to self-publish? If you're a nonfiction writer, your eBook might very well be a “product.” If you have any type of how-to guide, you can probably skip the fancy formatting and cover art and jump right to creating a PDF. Then, instead of pricing what you've written below $5, you can set the price at $7 and even get other people to help you sell it. Oh, and because you're in charge of your product, you get to collect customer data and build your list. If you're writing nonfiction, I suggest you take a good look at marketplaces like JVZoo, Warrior Forum, and Clickbank as more profitable alternatives.